My Granny used to chuckle telling me, how as a toddler, I would sleep standing-up! Standing on head: This refers to an old family doctor in Carluke (Victorian times). 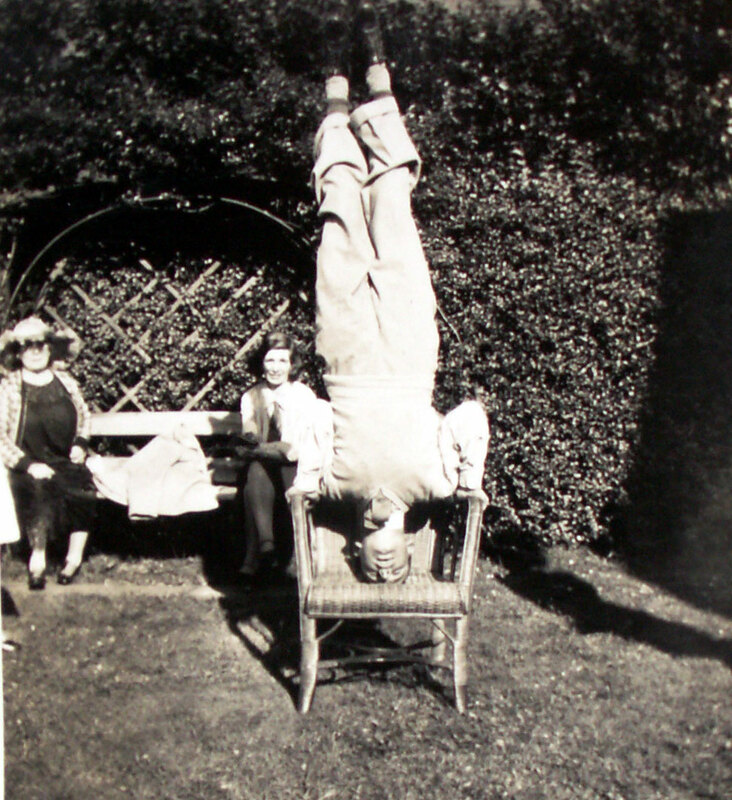 Dr Daniel Rankin used to greet his Carluke patients by standing-on-his-head! Almost as good as asking ‘WORLD’ to be spelled backwards? The photograph below is of my Uncle Wilfrid: Athletic into old-age, he taught me to ski. In his 70s he won the Cairngorm downhill race!